You see, idealism detached from action is just a dream. But idealism allied with pragmatism, with rolling up your sleeves and making the world bend a bit, is very exciting. It’s very real. It’s very strong. Perhaps no other category of our society is in more desperate need of idealism than education. For many students, the schooling experience is one of severe anxiety and worry, of toxic and constant comparisons to others (via “grades”), the digestion and regurgitation of facts that seem far from being truly relevant to real life in our world today. In most cases, the educational process is rather divorced from the natural world, preparing young people instead for an artificial life spent in cubicles, interacting with machines, and spending endless days pushing paper – or pdfs. As more and more people move away from this model and its unnatural “office” environments, stepping into entrepreneurship and creativity, is this path fully serving the youth of the world? And, does this traditional system honor the innate gifts in a child, expressed as his or her excitement? Are we fostering innovation and inspiration, or are we building a dour workforce distanced from the truest sparks within? Envisioning then a new sort of school which allows a child to choose whatever path excites him or her seems to be of paramount importance. Fortunately, there are a small – yet growing – contingent of entrepreneurs/educators stepping in to fill the void. Along with a handful of fellow educator friends, Abel McClennen helped found the La Paz Community School in Brasilito, Costa Rica some 11 years ago (see pic below for all founders). The northern Nicoya Peninsula was slowly morphing into an ex-pat paradise at the expense of many local “Ticos” (the local name for Costa Ricans). Was there a way to bring foreign-born and local kids together, under the same roof, and build a school that prepared all of them for the rapidly changing world? Could this endeavor help the very diverse community come together? Could a school become akin to a community center, where all were welcome and encouraged to gather and realize their inherent sameness? Thus far, the experiment is working. With 41 total graduates under its belt (the school began graduating kids some 5 years ago and they keep their classes relatively small) La Paz can see a wild array of different paths being taken by students – everything from world-class universities to world travel. In the center of this sits Abel, a man fully aligned with his mission and his own excitement. He is very unlike the traditional school principal. He does not intimidate nor separate himself from the students. He dresses like everyone else, joins them for the traditional “morning meeting”, teaches a class himself and – perhaps most important – tries to learn everyone’s name, students and parents alike (which number in total, around 300). Walking around campus with him becomes an essay in inclusion and generosity. He smiles and greets everyone, asks them personal questions, truly connects with them. One of La Paz’s cornerstone efforts is to teach the “soft skills” so crucial in life: eye contact, empathy, generosity. 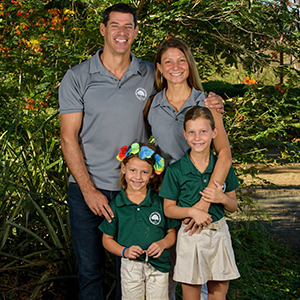 Abel embodies these beautifully, and its impact is clear – the students, and their families, adore him. What emerged in this conversation with Abel is not only a visionary, who is serving the world by helping to create an entirely new format for educating young people, but also a man on a mission, following his own excitement and passion. The combination is riveting. As you will see in this interview, Abel’s love for his path pours into his every word. His excitement is palpable. Perhaps then what we are witnessing within the microcosm of La Paz is the true answer to the challenges of the world. Follow your excitement, what calls to you, and witness what creates itself via this simple axiom. After speaking with Abel, and experiencing the wondrous co-creation that he leads, it’s clear that embodying this and passing this along to young people is an event worth celebrating. In fact, it could be the most important work happening on earth today. For, who – if not our youth – will reshape and reform our troubled world? Who will insure our planet’s shift from survival-mode to thriving, if not our kids? 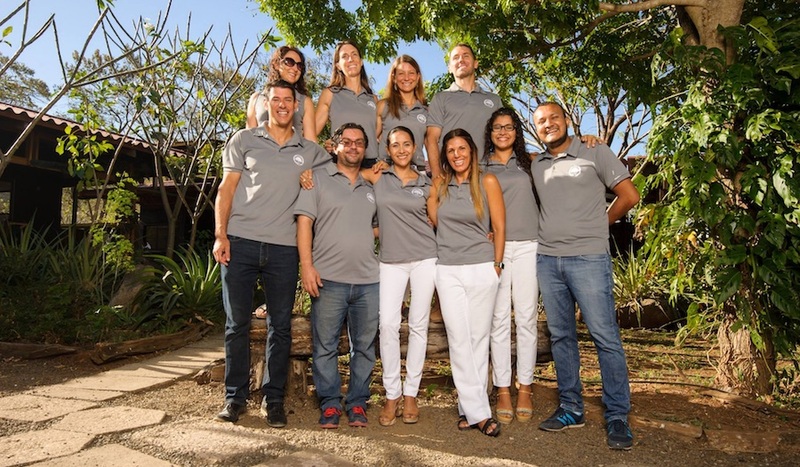 In Brasilito, Costa Rica (and in some other worthy schools around the world too) then is an incubator for a new earth forming – one built on inclusivity, creativity, equality and brotherly love. These efforts happen through individuals truly ahead of the curve, operating at the leading edge of what is known, envisioning something dramatically “better” while simultaneously building real systems which can be accessed by real people. This is true idealism – not the pie in the sky sort, but equal parts dreaming and “roll up your sleeves”. 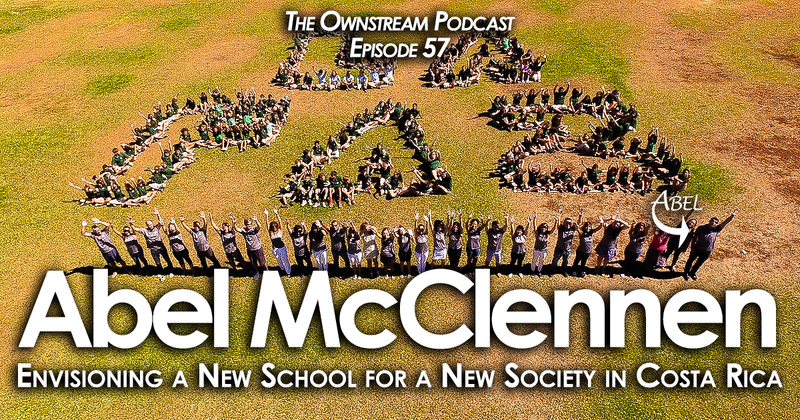 In other words it’s Abel McClennen: real world idealist and benevolent leader – fully self-aware that he is a dreamer and, yet, humble enough to devote himself to creating the dream. We are deeply honored to feature his story, and his important work, in our series. * NOTE: The founding of La Paz could not have been possible without the tireless efforts of the founding Board of Directors lead by Vice-President Emeritus, and Co-Founder Gerardo Brenes who played a fundamental role in acquiring a land donation for the school and building La Paz’s relationships with the local/national government.